Fly For Fun Online, more popularly known as FlyFF by MMORPG gamers, is finally landing in Southeast Asia. PlayPark and game developer, Gala Lab, are opening the gates to the magical world of ROIKA once again. 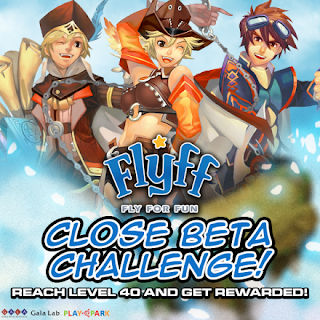 For a limited time, PlayPark FlyFF Online is open for Closed Beta Test from September 5 until September 11, 2018 ONLY. 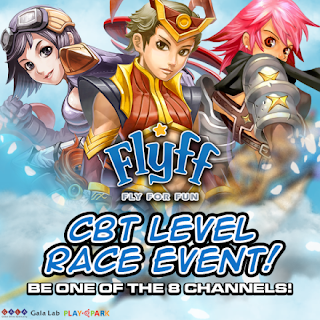 Following a series of successful FlyFF Homecoming celebrations all over the Philippines, especially when it was revealed on Playpark All-Stars 2018, everyone in Southeast Asia can soar to new heights and relive the epic adventure of FlyFF Online's classic features. Beta Testers need only to register for a PlayID account to get started. 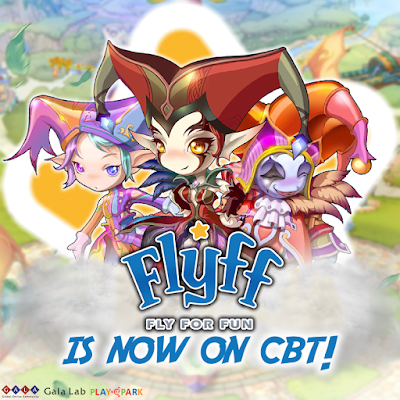 Plus, all the excited Flyffers who will join the CBT will get a chance to win exclusive CBT items. All Closed Beta Testers will get a chance to win a Chameleon Cloak Box (7 Days) by simply gunning to reach Level 40. - All players who reach Level 40 in-game will get a Chameleon Cloak Box (7 Days). - The first character created by the player will receive the prize. - Rewards will be inserted by September 17, 2018. - Only characters created BEFORE September 17, 2018 are qualified to join. Leave your mark on FlyFF history! Race to reach the highest level you can throughout CBT for a chance at epic rewards. - All Closed Beta Testers are eligible to join. - The top eight (8) players with the highest levels are the winners. - In case of tie, the winners and rank will be determined by EXP gained. * Names of offensive or vulgar nature will disqualify any winner from the event and the rewards. - Rewards will be inserted on September 17, 2018. - A data wipe out will be implemented among all Early Access players. - A data wipe out will also be implemented among all Closed Beta Test players. Have a fun flight, Flyffers! What can you say about Flyff comeback in the Philippines? Let us know your thoughts be leaving a comment below.